This assembly is aimed at Year 11 receiving their mock exam results. The whole point of doing mocks is to have a run through of the exam season to prepare – a “mock up” of the real thing. You have had an experience of juggling revision and preparation for multiple exams over a short period of time, and of the demands of the different examinations within the strict conditions and time constraints that you will face over the summer. These are all valuable, and you will need to build on them as you prepare for the real thing. However, to get full use out of the experience of the mock exams, the most important part is how you react to your results. I did really well! Much better than I expected! Good for you! Well done. Work out what you did right. Build on that success. Make sure it’s repeatable; replicate that success in every test, practice paper and revision exercise between now and the summer so it becomes second nature. This is okay – these are just the mocks, they don’t “count” – provided you learn from the experience. What went wrong? Did you not do enough revision? Did you do the wrong sort of revision? Is there a topic, concept, or idea you are struggling to understand? Did you forget to “please turn over” and miss out a 32 mark question printed on the last page? You have just under five months to fix all those problems, and a dedicated team of staff ready to help you – but you have to take action. Work it out. Ask the questions. Listen to the answers. I did okay. It’s good enough. This is the most dangerous reaction of all. “Okay” is not good enough. “Okay” is the equivalent of saying that you are satisfied with not doing as well as you could – it is worse than failure in my eyes. Your attitude determines your altitude and if your have this attitude, you will never achieve the heights that you deserve. 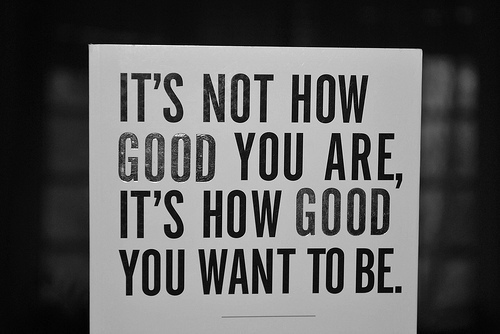 Put simply, only excellence is good enough. 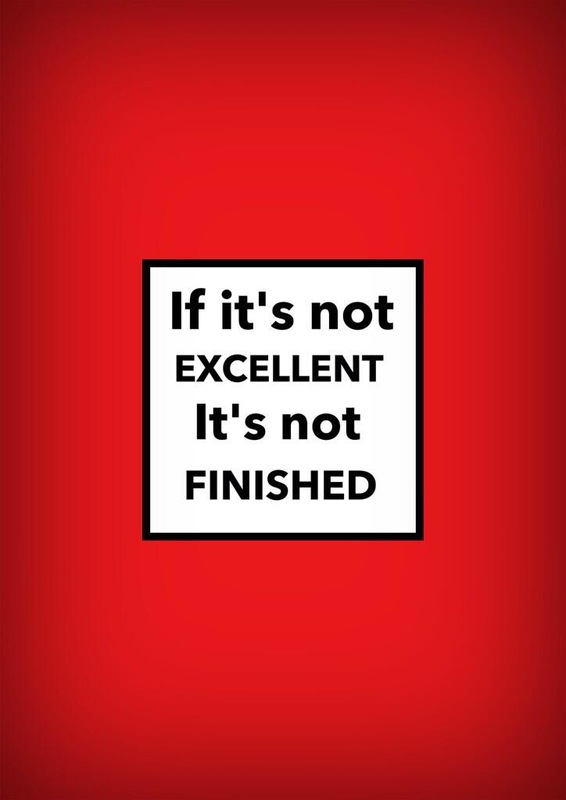 And if you haven’t achieved excellence, you’re not finished. So what is excellence? How will you know when you have achieved it? Your teachers are clear with you about what they expect, but your own expectations of yourself are the key here. To illustrate this, I want you to watch a short video in which Ron Berger, an elementary school teacher from America, shows how a first grade (six-year-old) boy called Austin embodied this approach. If you settle for the first butterfly, you are happy with mediocrity. I want you to aspire to excellence, and to the standard of masterpieces. Take a look at Van Gogh’s famous Sunflowers. This painting is widely acknowledged to be a modernist masterpiece. According to art historian Martin Bailey, “the patch of floor in front of it “gets more scuffed” than that in front of any other work in the National Gallery, and its postcard outsells all others in the bookshop.” Yet Van Gogh worked and worked at it, producing study after study, draft after draft, until he finally he was satisfied enough to sign his finished piece. I’m not saying that you will all be Van Gogh and paint a modernist masterpiece; what I’m trying to say is that Van Gogh’s models the idea of not settling for mediocrity, of keeping working and striving until he achieved the standard that he was satisfied with – his own standard of excellence. The mock exams are only worth doing if you learn from them. Don’t settle for good enough. Strive for excellence.